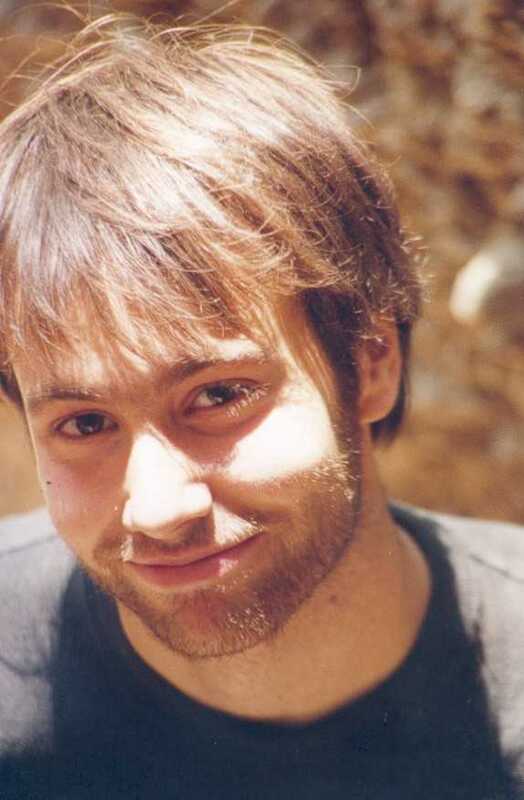 William Fletcher was a 3rd year Ph.D. student researching the topic, Holocene Landscape History of Southern Portugal. He is now a Post-doctoral worker at the Département de Géologie et Océanographie, UMR 5805 EPOC - OASU, at the Université Bordeaux 1, in France. What was the composition of early Holocene vegetation communities? What is the history of Mediterranean (evergreen) vegetation elements? Can short- to medium-term climatic variability be detected in the vegetation record? When is human impact first recognised, and what were the consequences? Pollen analysis is accompanied by plant macrofossil analysis and sedimentological analyses (particle-size analysis, charcoal content, magnetic susceptibility). These complementary analyses provide insights into aspects of landscape change such as fire, soil erosion, shifts in sediment sources and patterns of fluvial activity, and are critical in the interpretation of pollen records from fluvial settings. The analyses are supported by a framework of new radiocarbon determinations. Sediment sequences from three sites are the focus of current investigation: 1) the Guadiana estuary (Spain/Portugal border)—a c.50 m Holocene sequence of fluvial and estuarine marsh sediments from the tidal segment of the Guadiana river approx. 10 km from the coast, at the mouth of the Beliche tributary (Beliche/Guadiana photo ); 2) the Boina estuary (western/central Algarve)—a c.20 m sequence of mid-Holocene fluvial sediments from the terminal segment of the Boina river, approx. 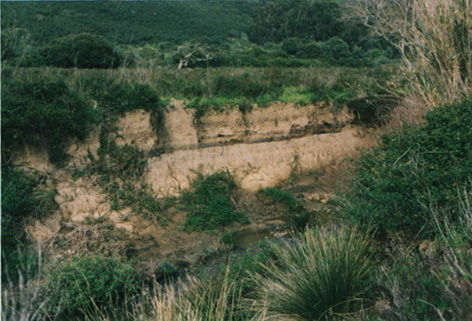 6 km inland; 3) the Carrapateira river (western/Atlantic Algarve)—alluvial floodplain deposits of late-Holocene age ( Carrapateira photo) . 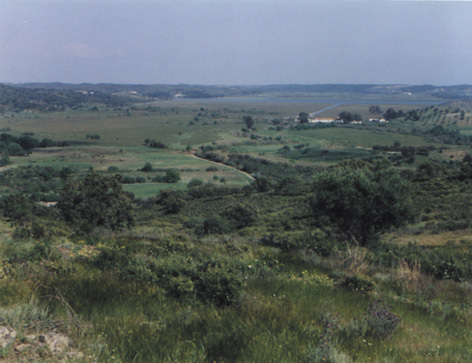 These sites span the east-west extent of the Algarve, and are located in river catchments which reflect the diverse geology and topography of the Algarve. In the first year of the project, two field trips were made to Portugal, identifying field areas and collecting material for analysis in Cambridge. Samples from the Guadiana and Boina estuaries (cores CM5 and P5) were recovered by Professor T. Boski of the Centre for Marine and Environmental Research (CIMA) , Universidade do Algarve, Faro and are being studied in collaboration. The ongoing pollen analysis undertaken as part of this project will therefore complement the active research of CIMA into the post-Glacial history of sedimentation in the estuaries of the Algarve. Samples from the Carrapateira valley were collected in the field, and are the current focus of pollen, plant macrofossil and sediment analyses, and AMS radiocarbon dating. This project was funded by a studentship award from the Natural Environment Research Council (NERC), UK. William's interests include the Quaternary history of Mediterranean environments, palynology, charcoal analysis, and prehistoric archaeology. He was a student in the Quaternary science masters program (1999-2000), and read archaeology at Trinity College, Cambridge. An M.Phil. dissertation "Late Quaternary woodland vegetation of the Vela Draga Canyon, Croatia " was based on the identification of macroscopic charcoal from four archaeological cave sites in the Istrian peninsula, Croatia. Fletcher, W.J. 2002. Late-Glacial and Holocene vegetation and prehistoric wood-use in the Istrian karst, Croatia. In S. Thiébault (ed. ), Charcoal Analysis: Methodological Approaches, Palaeoecological Results and Wood Uses. Proceedings of the Second International Meeting of Anthracology, Paris, September 2000. BAR International Series 1063. Oxford: Archaeopress.